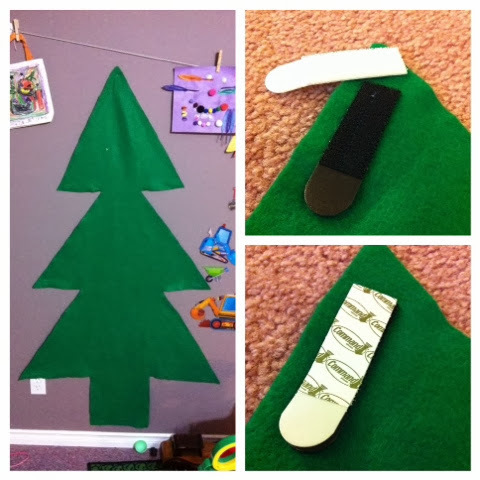 Last year I posted about our felt Christmas Tree for the playroom. Read that post here. Today I bought a new pack of command strips and put it up. I can't wait for the kids to see it tomorrow, they're going to LOVE it!